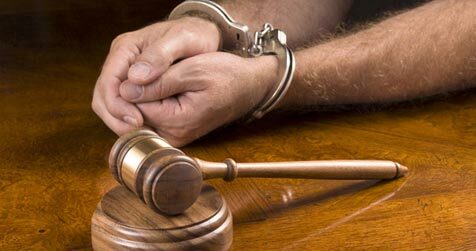 At the Henson Law Firm, we understand that being arrested, facing criminal charges, and fighting the massive resources of the government and the criminal justice system is the most frightening and potentially devastating experience a person can face. Our Tulsa Oklahoma criminal defense lawyers are here to represent you or a loved one through the Oklahoma criminal process from the initial court appearance through a jury trial. We are committed to protecting your freedoms and constitutional rights. Call now for a FREE, confidential consultation about your Oklahoma criminal legal matter. If you have been arrested for a crime in Oklahoma or if you think you may become a suspect or a “person of interest” in a crime, contact our criminal defense lawyer Tulsa immediately! Police officers and prosecutors rely upon the fact that many people waive their valuable constitutional rights by speaking to them before speaking to a criminal defense attorney. Do not make the mistake of waiving your Oklahoma and federal constitutional rights! Regardless of what police or prosecutors may say, they are NOT looking out for your best interests. The sooner you hire a Tulsa Oklahoma criminal defense lawyer to represent you, the sooner your defense attorney can start fighting for your rights and zealously representing your interests. When you hire an Oklahoma criminal defense firm to represent you, neither police nor prosecutors can communicate with you without your defense lawyer being present; this prevents the government from eliciting incriminating statements from you and prevents you from accidentally waiving important rights. The Henson Law Firm emphasizes personal service and attention to your case as well as being accessible to you. We make it a priority to keep you updated about the status of your case so you can make informed decisions about the most important issue in your life, your freedom. 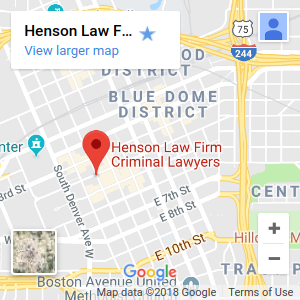 If you or someone you know has been accused of a crime, regardless of severity, and regardless of your location in Oklahoma, please contact the Henson Law Firm, PLLC for professional, confidential advice and counsel regarding your legal rights and options. Need a Tulsa Oklahoma Criminal Defense Lawyer? The HENSON LAW FIRM, PLLC represents clients throughout Oklahoma in communities such as Tulsa, Bixby, Bartlesville, Broken Arrow, Claremore, Collinsville, Glenpool, Jay, Jenks, McAlester, Muskogee, Okmulgee, Owasso, Pawhuska, Pawnee, Pryor, Sand Springs, Sapulpa, Stillwater, and Wagoner.